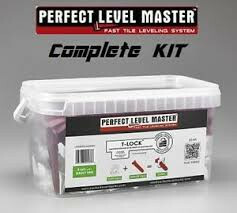 Self-levelling, ultra-quick hardening mortar with special hydraulic binders, applied at a thickness between 5 and 40 mm to create abrasion-resistant floors. TECHNICAL DATA: Colour: white, beige, light grey, red, anthracite and standard. Mixing ratio: 20-22 parts of water per 100 parts in weight of ULTRATOP. Applicable thickness: from 5 to 40 mm. Self-levelling: yes. Workability time: 15 minutes. Setting time: 60 minutes. Set to light foot traffic: 3-4 hours. Compressive strength after 28 days at +23°C: ≥ 40 N/mm². Flexural strength after 28 days at +23°C: ≥ 11 N/mm². Böhme abrasion resistance after 28 days at +23°C: 9 cm³/50 cm². EMICODE: EC1 R - very low emission. Storage: 12 months in its original sealed packaging. Application: by hand or mortar pump. Consumption: 16.5-17.5 kg/m² per cm of thickness. Packaging: 25 kg bags.